You can spot parents of toddlers from afar. They do not look as dishevelled as parents of new born do and neither do they look too up beat as parents of pre-schoolers. 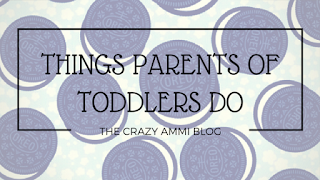 If you have a toddler or have been a part of the toddler life, then I am sure you can totally relate to these! 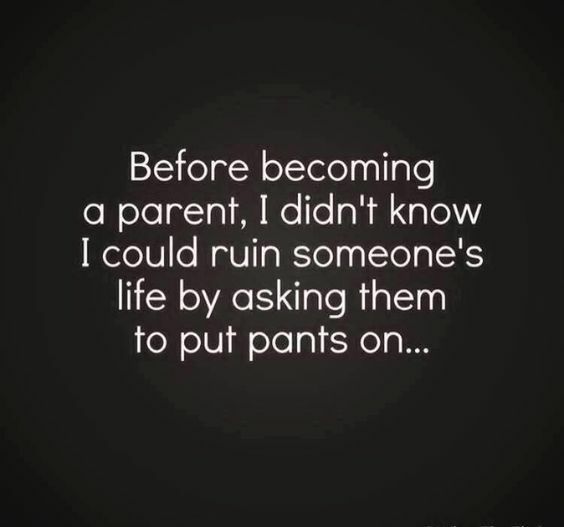 And if you are still a new parent, its best you start taking notes! Ha-ha! 1. You are probably more excited for the first day of school than the child themselves. Everyone has their new clothes on. Makeup is definitely fleeking and breakfast is difficult to digest. The child definitely doesn't like being dragged out of bed and quickly changed in to new clothes but your spirits are way too high. 2. You have made plans for breakfast with your friends, catch up on chores or pamper yourself when school starts but you end up missing your child and hawk the clock till its time to pick them up. 3. You know the fear of toilet training is real. You've scoured the internet, read books on it and have taken tips from all the parents and yet you are not ready. You know you have to take the plunge and just go cold turkey but the fear remains. 4. You know pressurising your child to hurry up for something is futile. Children are way too sharp for anything. They catch on our anxiety and stall everything they can. The more you tell your child to hurry up, the more they will slow down everything. So relax, and let them work in their own pace. 5. You know you have coughed as loud as possible when you've secretly opened a soda can or a junk food wrapper. 6. You've moaned about co-sleeping all your parent life and when they finally move to their own bed, you become desperate for a snuggle from them. 7. You've let them entertain a guest or a family member while you run to the loo and pee in peace without anyone sticking a hand from under the door. * Deciding what to make for dinner that can be made before you have to clean the house all over again and food that wont be thrown on the ceiling. *Deciding whether to let your child dress themselves and make a day out of it or to fight a tornado of clothes and legos and dress your child up. *To change the diaper or let the father come home and do it and act like they've pooped right before the other half walked in. *Whether to take your toddler out to the mall and drown your sorrows in a coffee while your child screams bloody murder all over or just sit down with hot chocolate and order online. 9. You have hidden behind doors and in rooms and eat that piece of cheesecake which your child has been told about gone all mouldy. 10. You have to act way to careful about what you say in front of your child because, one, they will keep it on repeat and tell every stranger about it or, two, rat it out to your family members that might want you to dig up a whole and jump in. Lol no that is what you call real life problems. I always used to be the one stuck entertaining the kids as well when the parents would sneak away, to you guessed it, eat cake! 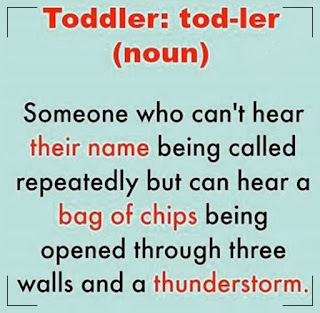 This is so funny - says the woman who has 'tea' frequently that the toddler knows he's not aloud to drink. Tea can be tea, coffee, coca cola or wine - depending on the time of day! Lol this is so funny and totally relatable!! 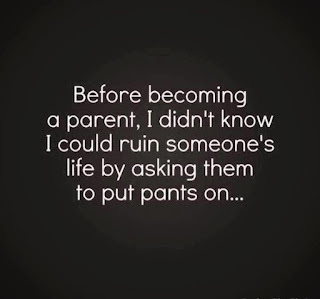 Lol I don't have kids but I feel like I have heard all of these from my parent friends! 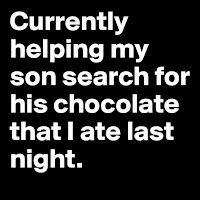 Too funny! This is funny!! I've managed to get my kids to 6 and 9 without co-sleeping!! could not cope with a wriggly kid in my bed!! Love these, especially 7, 9, and 10!! Great post! Ha! Love these! I've definitely eaten food in the bathroom so I don't have to share. And the battle with clothes can not be won. LOL! I love the entire list especially the one about entertaining guests. So funny but true. Haha, I will ask my sister if she feels like this! My little nephew always seems good as gold when I see him but I'm sure that's not always the case. i laughed at this. i don't have children myself but my parents did some of these whilst i was young especially number 5! These memes make my laugh so much! I love this post so much because it's so relatable! 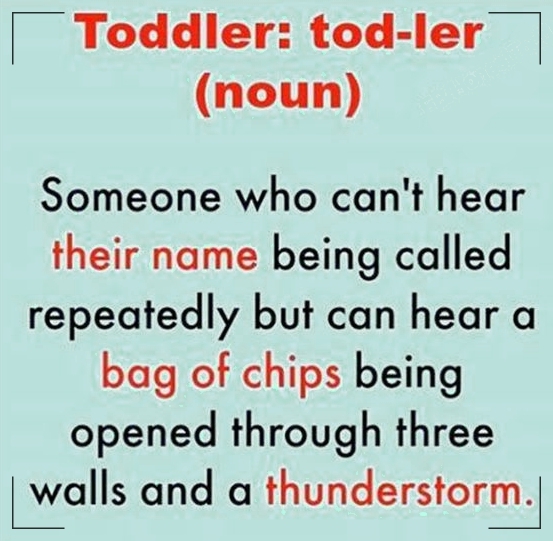 This made me laugh - toddlers can hear a bar of chocolate being unwrapped 3 miles away! There's no cough physically loud enough! Lol! This is funny. I don't have children but this sounds pretty spot on from what I hear!